March 2018 – Happy 50 Years to London Grove Twp. Municipal Authority incorporated in March of 1968. In London Grove Township, the primary purpose of the Authority is to provide public water and sewer to residents within the areas designated for the use. Every authority incorporated under this chapter shall be for the following purposes. London Grove Township Municipal Authority’s utmost goal is to provide the best possible service to its residents served by public water and sewer. We are proud to be a lagoon treatment/spray irrigation Township and will continue to strive for environmental excellence. The importance of disposal of wastewater through groundwater recharge is innovative and its significance to future generations immeasurable. 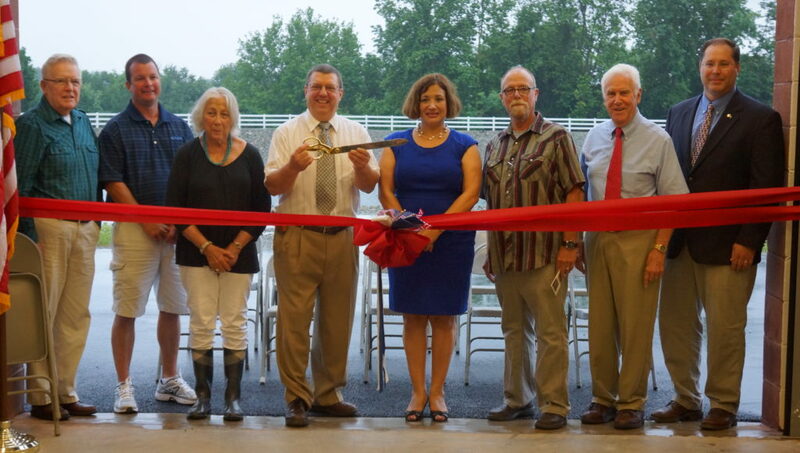 London Grove Township Municipal Authority recognizes the importance of groundwater recharge and stream preservation and its magnitude of impact to the future of London Grove Township’s residents. Water is a precious commodity! Please do your part to help our environment and conserve water! When the 1st Monday is an official holiday the meeting will be held the preceding Monday. London Grove Township Municipal Authority’s water/sewer bills are mailed each quarter in January, April, July, and October by the 15th of the month. The water and sewer bills are a bright yellow postcard. The past due notices are a bright pink postcard which are mailed out after 30 days of non-payment. Payments may be mailed, paid in person or placed in Payment Drop Box located outside the Municipal Authority Entrance. You may also visit www.londongrove.org, “Online Payments” section to view your account balances or to make an online payment at any time. There is a convenience fee to pay your bill online.